Visiting the iconic Niagara Falls is on almost everyone’s bucket list. Getting a room with a view of this natural wonder makes the experience unforgettable. Grabbing a great deal makes the vacation even more enjoyable, knowing you aren’t draining your bank account. Check out some exciting Niagara Falls hotel deals that are currently being offered at the Sheraton on the Falls. These offer you activities, themes, and above all great service at an attractive price. The Sheraton on the Falls is home to the Christienne Fallsview Spa, which is one of the most famous Niagara Falls spas. This spectacular health treatment suite has amazing views over the famous Niagara Falls. The Ultimate Spa Experience package includes a 55-minute couple’s massage at the spa, followed by a 20 minute soak in the establishment’s Falls view infinity hydrotherapy tub. You get the tub all to yourself for the session. The luxury spa treatment is packaged together with one night’s accommodation at the Sheraton on the Falls. In your room, you get a complimentary bottle of sparkling water that is infused with Cherry Lane elixir. That special water is paired with delicious chocolate truffles, which are also complimentary. The rest of the package is reserved for indulgence. You get two cocktails at the Hard Rock Café, or you can choose to take them in the Sheraton on the Falls lobby. For dining, you can visit three restaurants at the Sheraton on the Falls complex and enjoy discounts, thanks to dining gift cards that are included in your package deal. These are for the Fallsview Buffet, the Massimo Capra restaurant in the Rainbow Room, and Massimo’s Italian Fallsview Restaurant. If you enjoy wine, you will love the second main feature of the Ultimate Spa Experience: two winery tasting passes for the Inniskillin and Jackson-Triggs wineries. This package gives you plenty of treats and a chance to unwind with a loved one. 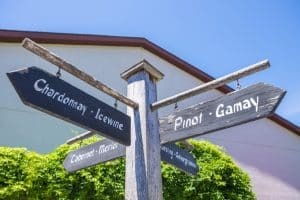 If you are a wine buff, you should get to know the properties of Canada’s Wine County, which lays just a few miles from Niagara Falls. This package deal gives you one night of accommodation at the Sheraton on the Falls combined with a winery tour. The services of a guide and transportation for the wine tour are included in the price of the package. 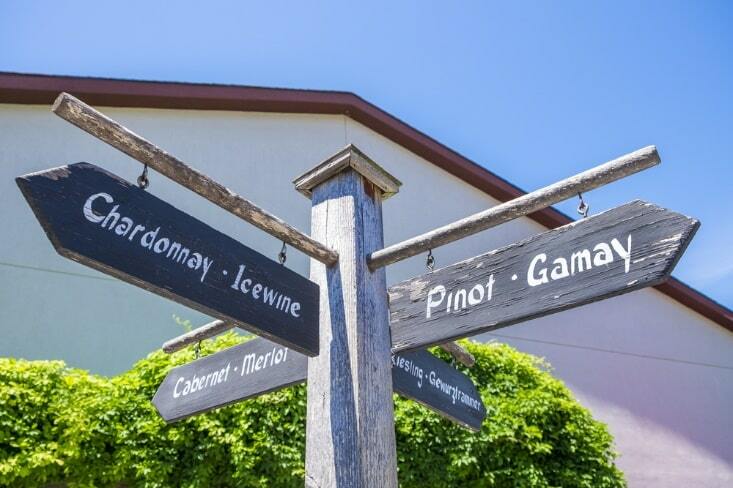 You will visit the Reif Estates Winery, the Inniskillin Estate Winery, and the Konzelmann Estate Winery. Back at the Sheraton on the Falls, you can enjoy a relaxing spa treatment, thanks to a $20 gift card that is included with the Ultimate Winery Experience. The deal also includes gift cards that get you discounts at three of the hotel’s restaurants: $20.00 at Massimo’s Italian Fallsview Restaurant, $20.00 at the Fallsview Buffet, and $25.00 at Rainbow Room by Massimo Capra. This deal gives you a great introduction to Canada’s Wine Country and opportunities to view the spectacular Niagara Falls. Try a romantic mini-break at Niagara Falls in Canada with this great deal for couples. Enjoy one night’s accommodation at the Sheraton on the Falls together with some great treats. Take a trip out to the Wine Country at nearby Niagara-on-the-Lake and take advantage of the wine tasting passes for two that are included in this package. These enable you to taste the wines at both the Inniskillin Estate Winery and the Jackson-Triggs Winery. The package also includes a $20 discount at the Christienne Fallsview Spa, which is housed in the hotel. Try a relaxing massage or a cleansing Mineral Fusion Wrap. The package includes three gift cards for the fine dining experiences that are available at the Sheraton Falls View Hotel. Eat at Massimo’s Italian Fallsview Restaurant or the Rainbow Room, both under the management of Celebrity Chef, Massimo Capra. For less formal dining, you could take advantage of a $20 discount at the Fallsview Buffet. Before dinner, enjoy a cocktail at the Hard Rock Café or the Niagara Vines Wine Bar — the package includes two free complimentary cocktails at either of these establishments.